Angel's Creative World: YNS Fun Friday - Indulge, it's your day! Hi all! Happy Friday! It's time for the YNS Fun Friday sketch and color challenges! 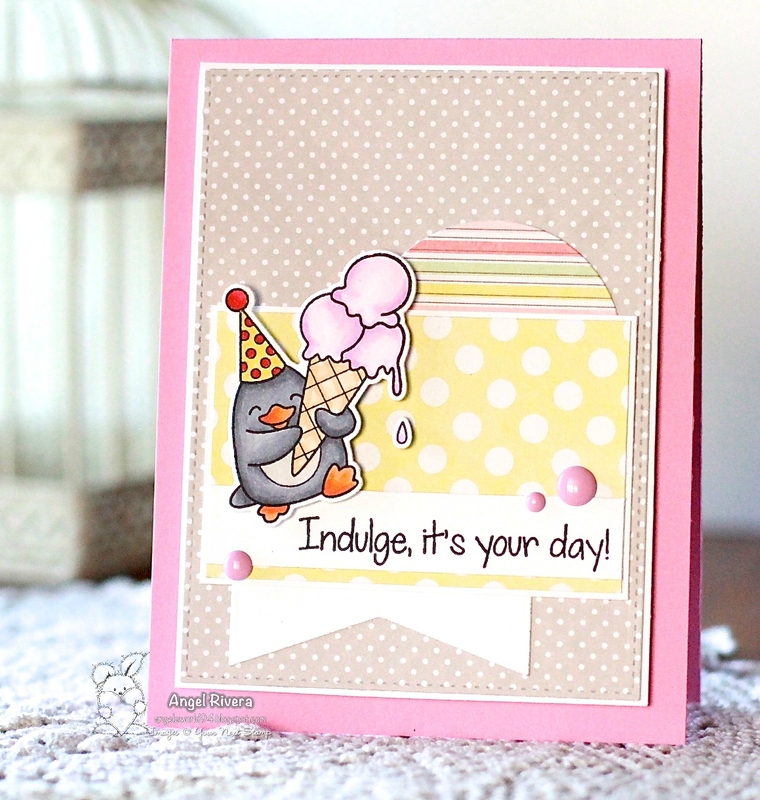 I used this fun Waddles - Happy Brrr-thday set for the color challenge, along with the matching dies. I colored him with Copics then popped him up on foam adhesive. I used up some pretty DP I've had for years and added some bubblegum gumdrops. The striped layer was cut out with the circle element from the Little Peek a Boo Doors die set. The sketch is from the SSSC278. Thanks for stopping by! Be sure to play along with us over on the YNS Blog for your chance to win!